The Clientele were one of the greatest triumphs of the fickle aughts, and also one of the most overlooked successes of indie pop. The saddest part of the Clientele’s exceptional reissue of Suburban Light isn’t found on any of the reflective, melancholy tracks that line the 23-song collection. It’s found in the liner notes of the reissue. It’s printed like a disastrous tattoo in full-on black and white, a crushing reminder that we never treasure what we have until it’s much too late. Flip open the vinyl board and there it is, cursing us from afar: the Clientele were Alasdair Maclean, Mark Keen, James Hornsey, Innes Phillips. Oh, cruel fate. Why must you twist the knife so delicately? As listeners, those of us that were fortunate to have known the Clientele in their prime or even to have seen them perform, we should be thankful for all they gave us. True, the band is playing a string of dates in the US surrounding their appearance at the Merge Records 25th Anniversary Festival, but it’s not exactly a victory lap: it’s more a remembrance of what was, what could have been, and what should have been if our fickle tastes were more attune to better offerings. 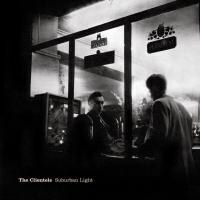 Suburban Light, the Clientele’s 2001 release and their likely first introduction to American audiences (thanks to Merge Records, who released all of their full-length LPs), defines the Clientele and their sound. The music, as always, is sublime, even without the fully developed song structure that the Clientele discovered on their essential LP Strange Geometry or any of the paisley pop that littered their oft-overlooked fourth LP, God Save the Clientele. Suburban Light, while confined to a debut, is steady and assured, showing off the composure and structure of a band nearly fully formed even in its nascent stages. Opening track “I Had to Say This” is a perfect pop song, destined for thousands of unrecorded mixtapes, making use of the negative space between light-as-air drumming of Mark Keen and Alasdair MacLean’s tossed off Fender Reverb riffs. The most exquisite moment coming in a culminating chorus on nonsensical, “froo-doo doo”’s that loop into a backwards guitar solo that burns out like an incense stick. “Rain", one of many song titles and lyrics to name-check nature’s life-force, is the only one that chimes with a 12-string electric guitar, bright and loyal, giving you the false implication that the Clientele are in a hurry, that they have somewhere else to be. In reality, the Clientele have nowhere else to be except wandering the streets of doubly fictitious and starkly real England. Their songs are populated with people (Joseph Cornell, Ms. Jones, Sarah) and dimly lit places (Highgate Park, Delancey Street, the Heath). Their tracks bustle and shine, deep with imagery culled from classic literature, modern art, and suburban streetscapes. If quintessential American imagery in Art comes from Jasper Johns or Edward Hopper, the Clientele’s imagery comes from the breathy strokes of Edouard Manet or the pointilism of Georges-Pierre Seurat -- images that are evocative of specific scenes, dimly lit, and moody, yet full of composure. “Monday’s Rain” and “Lacewings” may as well have accompanying city scenes embedded in their tracks to heighten the sensory that comes with the former’s falsetto-driven chorus and the latter’s crystalline slide guitar. But the Clientele don’t need heightening of that kind, at least not at their core. All of the elements that made them a phenomenal band are present and accounted for (save some of the spoken word tracks that showed up on their later albums). What makes the reissue of their debut seminal is the well-crafted package that accompanies it. The original tracks have been remastered for volume and overall sound; “(I Want You) More Than Ever” and “As Night Is Falling” resonate with deeper tones, clearer and cleaner, EQ’d for proper audiophiles and non-audiophiles alike. The American issue of Suburban Light breezed by, as if it may float away, and the strength of their second LP, Strange Geometry nearly overshadowed Suburban Light in its efficacy. But now, the songs, originally recorded as a batch of demos but released “as is" when the band could not find a suitable recording studio or engineer, sound weighty in their fullness and delivery. The track list has been altered back to its original UK pressing and the cohesion is apparent; Suburban Light is now a proper album that stands as testament to the band’s skills behind the control board. And that dreadful US album cover is gone, replaced with a stark black and white photo that captures their inclinations. The 13 tracks of Suburban Light on their own are worth the price of admission, but the bonus disc of demos, outtakes, and covers pushes the reissue into the essential category. (For best effect, I highly recommend the vinyl reissue; the original 13 tracks appear on vinyl and a a bonus CD is included for the outtakes and demos.) “Porcelain” and “Monday’s Rain” appear on the second disc as “Portastudio versions", demos of works-in-progress that, again, offer sketches of the Clientele’s finest moments, and a cover of “Tracy Had a Hard Day Sunday” from ‘60s-era psychedelic outfit the West Coast Pop Art Experimental Band, allow the Clientele to expand their palette from maudlin reminiscence to swing pop, ever so slightly. It’s not new territory, per se, but it does offer a peek through the keyhole of the Clientele’s influences. Before this moment actually registers, he’s off again, supplying a chorus of “da da da’s" and pulling you along with him down the streets of London. Encapsulated in this brief moment is the expectation of success and also the recognition of despair that memory holds. It’s especially stinging given that no other band of the past decade inhabited the dual landscapes of darkness and light so sublimely. The Clientele were one of the greatest triumphs of the fickle aughts, and also one of the most overlooked successes of indie pop. The reissue of Suburban Light is one giant step in pulling our attention back to them, lest we forget once more.